The oldest of six siblings, Adams was raised in Houston, Texas. She graduated from Sterling High School in Houston in 1979. After graduating from University of California Berkeley, she began a career as a schoolteacher and part-time model in Houston, Texas. Eventually she gave up teaching to perform full-time as a lead singer. Adams attracted the attention of Thomas Whitfield and Sound of Gospel Records as a lead singer in the Southeast Inspirational Choir. She signed a recording contract with Sound of Gospel which yielded her first album Just As I Am in 1987. In 1990, she signed to Ben Tankard's independent label Tribute Records and released Through The Storm. Two years later, Adams followed with Save the World, which included her first signature song "The Battle Is The Lord's". Her next release was 1995's More Than A Melody, which featured production work from Ben Tankard, O'Landa Draper, and BeBe Winans. The single "Gotta Have Love," from that album featuring Tony Terry on background vocals, gained mainstream notoriety and was her first single and music video. Yolanda... Live In Washington, released the following year, featured versions of material from her first two albums. The footage from this recording was released as a collection of two videos on VHS initially, and later as a single set on DVD. Songs from the Heart was her final release for Verity Records and included "Only Believe" which was popular songs on contemporary radio. The album also included "Still I Rise," a dedication to Rosa Parks which was inspired by the Maya Angelou poem of the same name. "Fragile Heart", was dedicated to the memory of Yolanda's long time road manager who died in 1998. Adams' first significant attention outside the urban contemporary gospel arena came with the release of Mountain High... Valley Low in 1999 on Elektra Records. Several mainstream artists and producers helped in the production of this album including Jimmy Jam and Terry Lewis (Janet Jackson, Boyz II Men), James "Big Jim" Wright (Mariah Carey, Nicole C. Mullen), Warryn Campbell (Mary Mary, Brandy), and Keith Thomas (BeBe & CeCe Winans). The album went Platinum in 2000 and won her a Grammy Award. Notable singles from the album include Yeah", "Fragile Heart", and "Open My Heart". In 2000, Adams released a Christmas album, and in 2001 she released a live album (The Experience). The Experience netted Adams a second Grammy Award for Best Contemporary Soul Gospel Album. Believe, which included the hit "Never Give Up" was released in 2001. She would later go on to perform this song at "The Salute to Gospel Music" at the White House during President George W. Bush's administration. Believe was certified Gold in 2002. The Divas Of Gospel, with Albertina Walker (queen of gospel), was also released in 2001. Yolanda recorded a song for the 2003 film, Honey titled "I Believe" that played during the last scene in the final dance. After nearly four years without releasing an album, Adams returned in 2005 with Day By Day. Although charting higher than Mountain High...Valley Low on the Billboard 100, and Billboard R&B Albums Chart, It didn't get a RIAA certification. The album featured the singles "Be Blessed," "Someone Watching Over You," "This Too Shall Pass", and "Victory" which was prominently featured in the movie The Gospel. After ending her long association with Atlantic Records, They released a greatest hits collection entitled The Best of Me in May 2007. Adams signed with Columbia Records in 2007. Columbia released What a Wonderful Time, her second holiday collection in October 2007. "Hold On" was released as the lead single. In 2007 after releasing her holiday album with Columbia, She stated in different interviews that she was currently in the planning stages for a new album. Her official website states that it will be a duets project including possible collaborations with Mary J. Blige, Alicia Keys, Natalie Cole, Trin-i-Tee 5:7, and Mary Mary. In a interview with Commercial Appeal. Adams stated that Chaka Khan, and Shirley Caesar might be on the new project also. In March 2009, she was interview by a FOX station in Houston, where she stated that her women's clothing line and new album is still in progress. The new album is currently untitled, and will be out in the last quarter of the year. She stated that the new album will be full of dance tracks. Adams' may do a secular album in the future. Adams' song "Hold On" is included in a compilation in support of Barack Obama's campaign entitled 'Yes We Can: Voices of a Grass Roots Movement'. Adams performed the National Anthem at the 2009 BCS National Championship game between the #1 University of Florida and #2 University of Oklahoma in Dolphin Stadium (Miami, Florida). 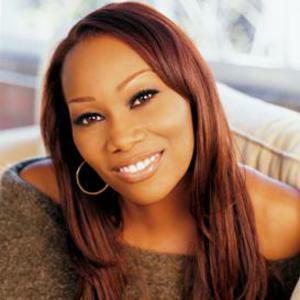 In 1997, Yolanda Adams married former NFL player Tim Crawford. The couple divorced in August 2004. They had one daughter, Taylor Ayanna, in 2001. Yolanda served as a spokesperson for the FILA Corporation's Operation Rebound, a program that addressed the concern of inner city schoolchildren. On October 15, 2008, Yolanda Adams' mother Carolyn Jean Adams died.